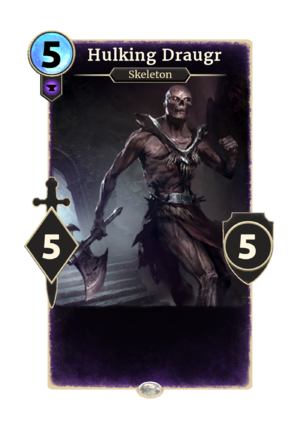 Hulking Draugr is a common Endurance creature card. It cannot be put into a deck, but is created by Waves of the Fallen. Hulking Draugr first appeared in Skyrim's Dragonborn add-on. This page was last modified on 28 October 2018, at 06:09.